Doctor Daniel's macabre version for home delivery of drugs to your door. 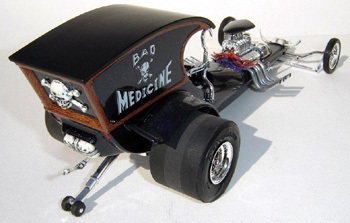 This was one of TDs hot rodded work truck designs, featuring the popular old truck delivery C-cab. He related this to the old medicine wagon of the West, where a guy would come through town with his "snake oil" or bad medicine. 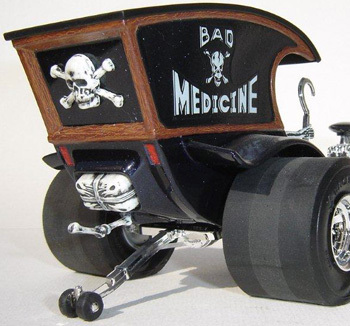 It's the wild west medicine wagon on steroids! 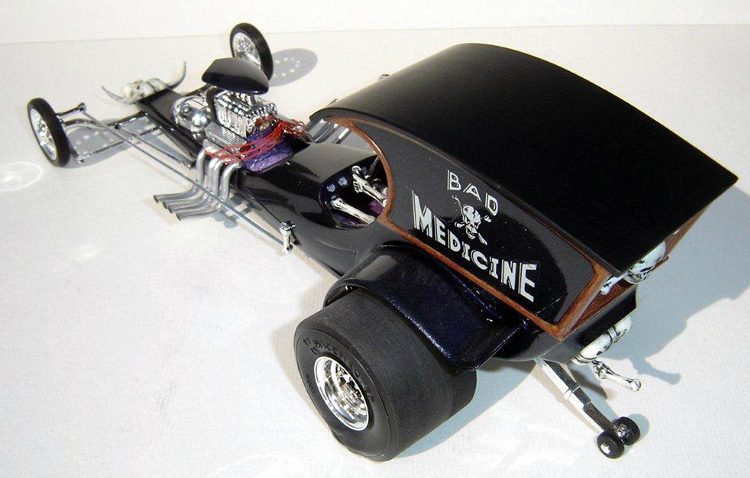 Imagine a prescription delivery toy our door at over 200 mph. 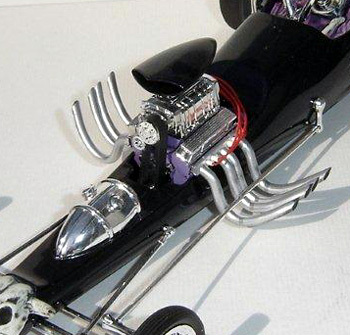 This sanitary speedster with the long, low dragster look is pepped-up by eye-catching goodies like the steer horns on the front, skull and bones on the rear, and skeleton in the driver's seat. BAD MEDICINE...just what the doctor ordered! I love this kit and had already built it a few times. It is also best for kitbashing. Here is another version of the original. Apart from the rear wheels, that are now a bit wider and the colors, it is built boxstock. The exterior color is a dark mica blue, with a few layers of clear. The engine is a purple blue (RAL 4005) and its wired. 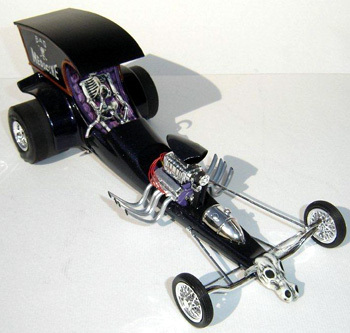 The interior is in a similar color as the motor, but done with matte colors and by FMDBT (Fred Melini Dry Brush Technique). 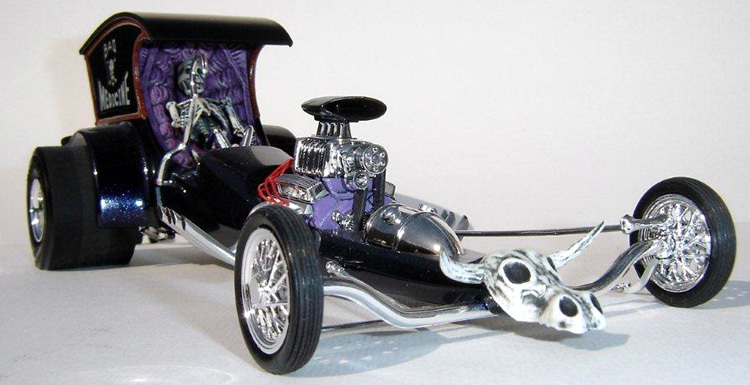 By the same technique were also pepped-up the eye-catching goodies, like the Bull skull on the front, skull and bones on the rear, the Parachute and the skeleton in the driver's seat.